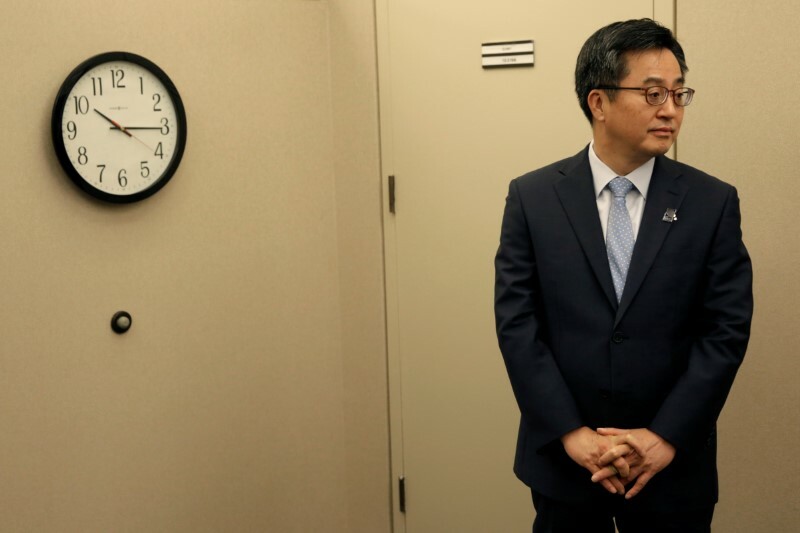 SEOUL (Reuters) – South Korea’s finance minister said on Thursday the government will raise its spending by more than planned until 2022 to counter a feeble weak labor job market and economic polarization as inequality in South Korea rises. Earlier, the government cut its jobs outlook, expecting the Asia’s fourth-biggest economy would add only 180,000 jobs this year, down from 320,000 estimated earlier. “The job market is the worst since financial crisis. The government’s big challenge is how to support the job market through fiscal policies,” Finance Minister Kim Dong-yeon said in a speech. “The polarization issue is very perplexing. From my point of view, economic growth and innovation would be difficult to sustain without addressing the issue,” he said. Kim said next year’s budget spending increase will be far higher than the 5.7 percent rise set earlier, noting that tax revenues will be robust until next year. Kim said the government would increase spending on research and development to support private firms’ efforts to advance artificial intelligence, big data and hydrogen vehicles.